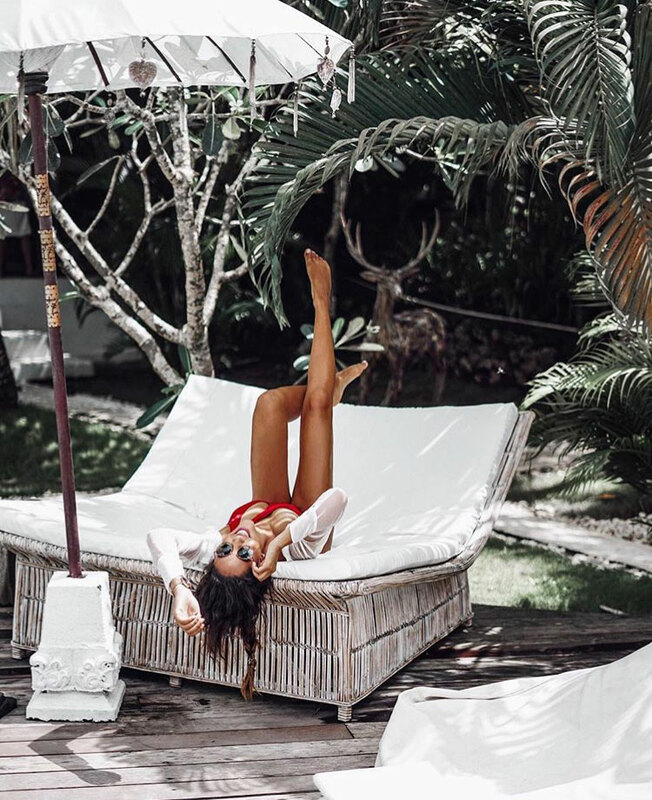 Travel babe and model @juliasteyns takes on Bali in the most beautiful locations! 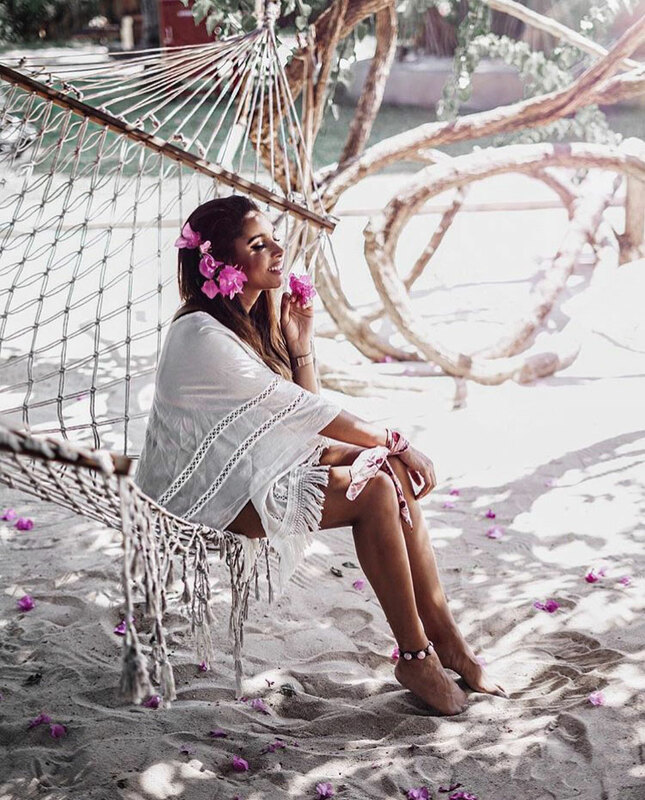 Follow her tropical adventure from Gili Trawangan to Seminyak and beyond. 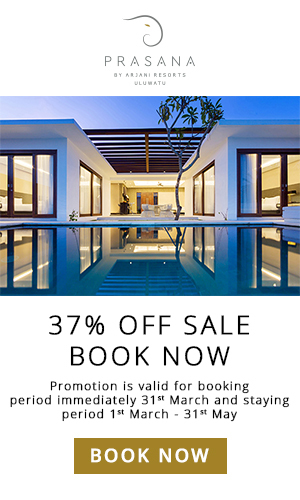 Stunning Bali interiors, private pool villas, and yummy food await! Day 1: The minute we arrived, we were flashed by the beauty and pureness of the crystal clear ocean waves leaking on Gillis white beaches. The view from the fairy was beyond beautiful and even before we entered this small piece of paradise I knew that I could stay there forever. After a four hour boat trip we finally reached Gilli Trawangan Island. We came by ferry and were dropped off right on the white sanded beach. Somehow we managed to carry our luggage through the sand over to that one small road that led all over the island. Quickly it was clear that Gili Trawangan was a non-driving island, which means that there where no motorised vehicles to find. The way to move around at this place is either by bike or by a horse-drawn carriage. Packed with two suitcases and additional hand luggage each, we decided to experience a ride with the one horse-drawn carriage to our first hotel. The short ride was as exciting as funny and should definitely be tried out by all who like small adventures. We rode around on that one tiny single street and got first impressions of the island. The moment we really started to enjoy this little ride it was over and we reached out the first domicile. On arrival at Hotel Vila Ombak we were greeted by the cutest locals and with the most lovely tasting welcome juices which were greatly appreciated after a four hour transfer from onshore to Gili Trawangan Island. After this warm welcome, we were taken to the beautiful hotel park to our private 2-bedroom villa. It was gorgeous with our own private pool, an outside livingroom and all the facilities we needed. Outside our villa was one of the most beautiful and largest gardens I have ever seen. Small alleyways led to different hotel buildings, life-size chess fields and a lovely white hammock situated under a tree full of flowers. The atmosphere was so peaceful and calm that you could forget all dullness of everyday life right in the minute. We spent the rest of the day in our private villa section, dressed up for dinner and had an amazing meal with live music right beneath the starry sky in front of the beautiful ocean. Day 2: The next morning we strolled through the garden pathways to breakfast. Tropical fruits of all colors, fresh pancakes and pastries, and strong coffees greeted us in the restaurant. 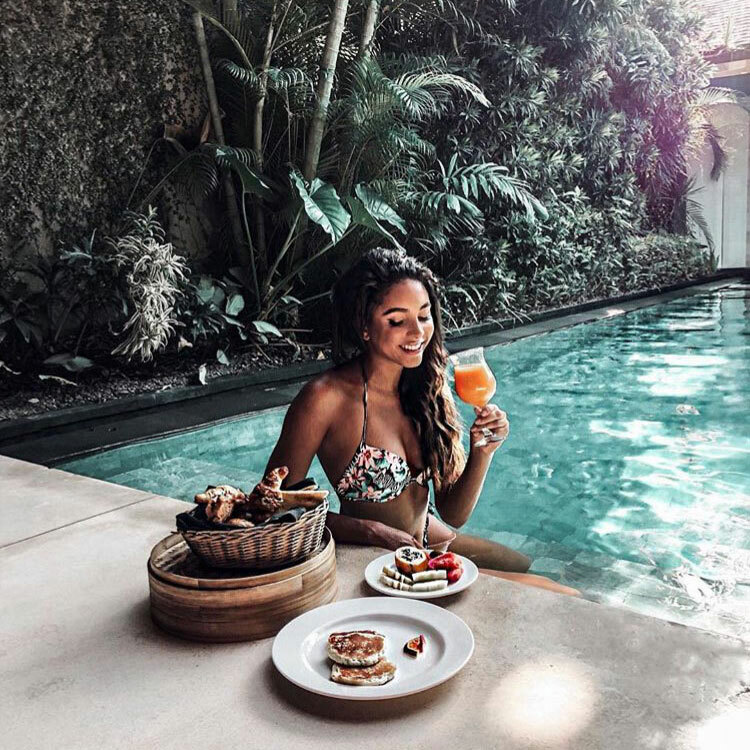 Seated on a wooden terrace next to the main pool, we had our abundant breakfast and enjoyed the view of the beautiful hotel complex and the clear blue ocean, we could spot from our table. Since the staff placed some bikes at our villa we decided to go for a bicycle tour that day. We surround the whole island and explored almost everything. Exhausted from our trip we then sat down at the beach somewhere and enjoyed a breathtaking sunset. Day 3: On our last morning at Hotel Villa Ombak we got up early and went to the beach for a little tan before heading back to Bali. I am really not sure if I have ever been to an ocean that clear and most notable that warm. Going for a swim there was more like taking a hot bath. I really didn’t want to leave this beautiful island but there was so much more to our holiday ahead of us and almost everything to discover. Back on Bali, we drove to Canggu to our next domicile Ametis Villa. The entry itself was amazing! 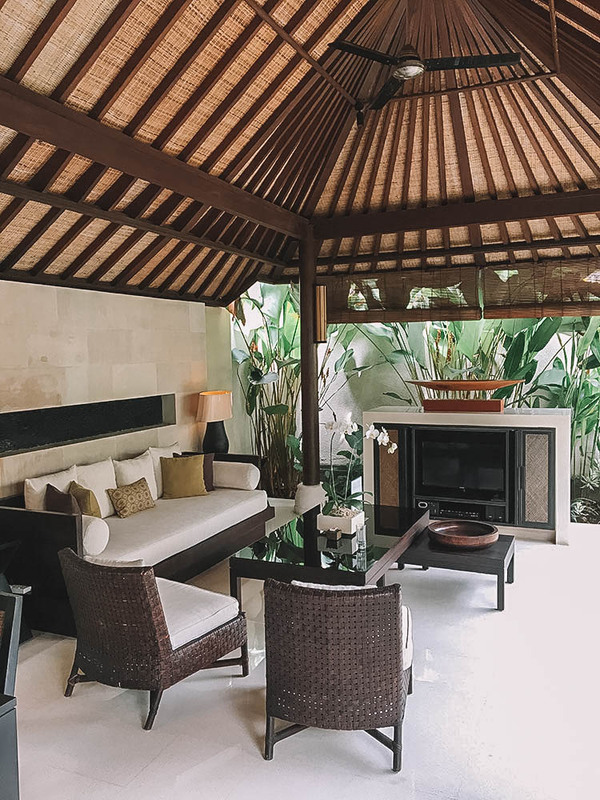 The style and the design of the hotel was a mixture of huge grey stonewalls with lots of beautiful plants hanging from the ceiling and the walls, paired with cute Balinese wooden furniture. Looking around we were wishing we had more than just one night here, it was magic. Every single detail was very elegant and luxurious. Upon getting into our villa we were greeted by a huge pool running from the house to a completely self-serviced outdoor kitchen and a huge outdoor living room. In our bedroom, we stumbled then across boxes of complimentary brownies, cookies, nuts and local sweets that tasted absolutely mouthwatering. The bedroom itself was made up with a dreamy king bed and see-through curtains draped over the top. A giant mirror next to the bed, which turned out to be a door as well, separated the bedroom from the bathroom. Everything inside the bathroom was made out of marble and glass and while sitting in the bathtub you had a perfect view of the villas garden and pool area. During our stay at Ametis Villa, we hardly left this breathtaking piece of paradise; it was extremely peaceful and relaxing to spend the night in this villa. Day 4: It was another stunning tropical day and our first morning at Ametis Villa was our last at the same time, so we wanted to make the most out of it. 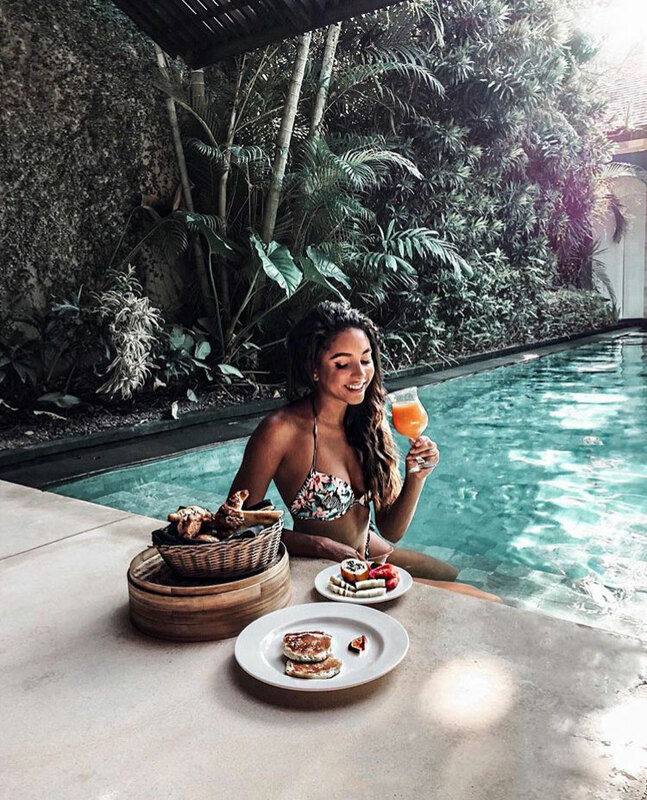 We woke up and jumped straight into our private pool as we waited for our complimentary three-course breakfast. The range of deliciousness that was offered was beyond amazing and I cannot remember when I ever ate such an amount of food for breakfast. We had such a lovely time, everything was absolutely perfect and I can definitely say that I would love to return to this breathtaking place. At midday we checked out of my happy place, we had lunch with a friend of us at a gorgeous restaurant down the street called The Slow. We got the awesome opportunity to try out almost everything on the menu so that I could hardly recommend what was my favorite dish because everything simply tasted amazing! With our tummies full of food we strolled down the street and did a little shopping in the tiny shops there. Later that day we went to our next destination, Villa Air Bali, our new home for the next two days. After a warm welcome by the super kind staff, a quick drive by golf cart brought us through the beautiful greenery straight to our personal villa. We decided to stay in the hotel after our lunch out and ordered from the room service menu. We really enjoyed both a tasty meal and a lovely evening after a great day. Day 5: The next morning we had a delicious breakfast delivered to our room and also got to enjoy in our outside dining area. The variety was huge and we could hardly decide on what to have for breakfast. 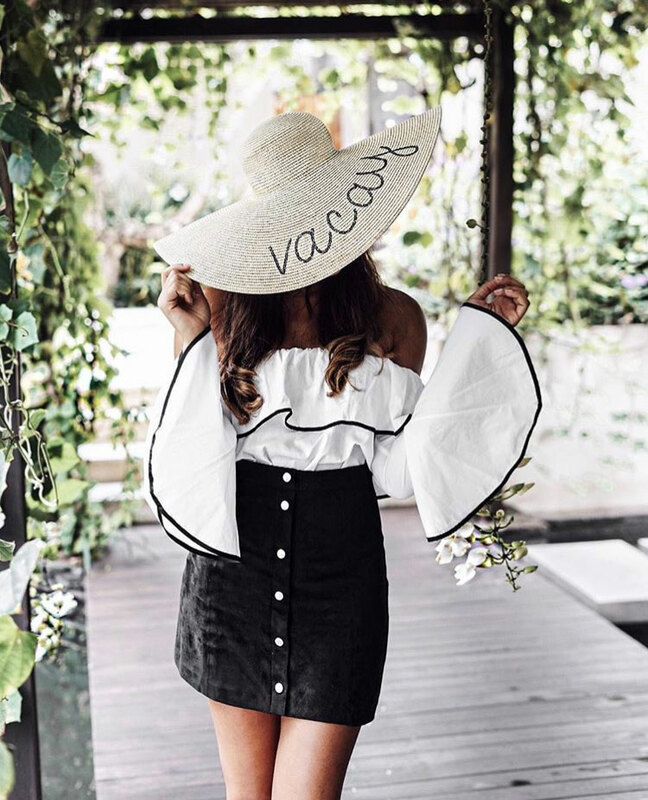 Staying so close to the heart of Seminyak we were thrilled to explore the little tight streets filled with local shops and the famous Instagramable cafes of Bali. We caught a Blue Bird Taxi and went straight to the god of Instagram cafes Sea Circus. This beautiful café was better than ever expected. The food tasted amazing and the lovely décor and colorfulness both inside and outside was one of its kind and the perfect Instagram post opportunity. Day 6: The last morning before we left we a got the chance to try out the Spa Air Bali, Villa Air´s own spa segment. The facilities of the Spa and the Spa itself was wonderful and relaxing. 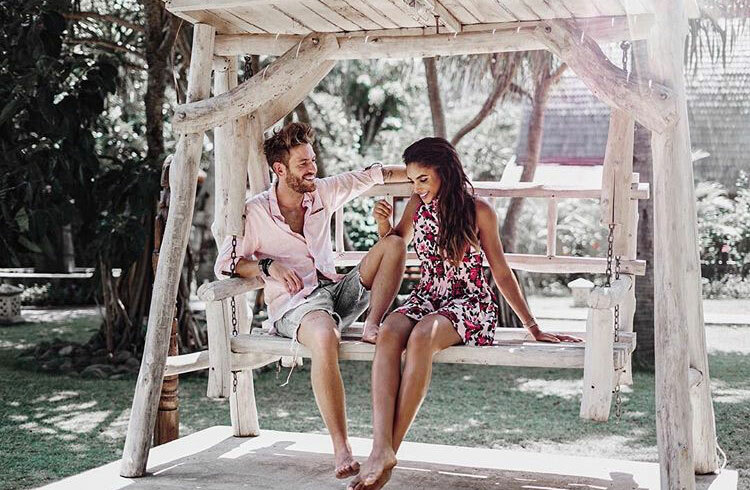 It was also the perfect preparation for a long drive to our next domicile because it was already time to change locations in order to explore as much of Bali as possible. So our driver arrives, we thanked the wonderful staff, said goodbye and hit the road to Uluwatu for the next two nights. Unfortunately on that day, the weather was not so fine. Rainy season on Bali had just started and that day was full of rain. Nevertheless, we were thrilled to see famous Bali Swing and told our driver to go there first. Every minute rainfall got heavier and heavier so that the swing had to be shut down for the day. I remember that I was so sad about that because I dreamed to go there for such a long time. 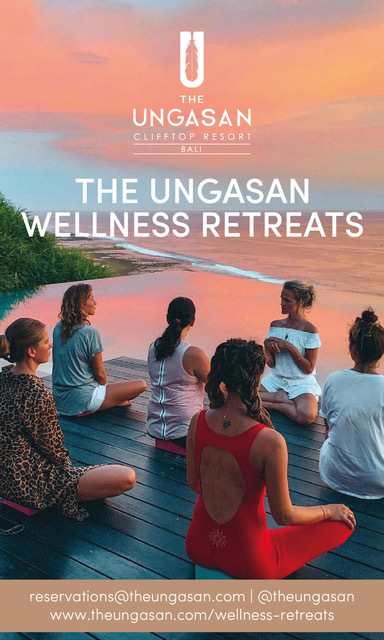 We went on to Uluwatu and checked in into an intimate luxury boutique hotel named Sal Secret Spot. Our driver didn’t know the area to well, so the hotel was as secret as its name and it was a first for all of us to find it! When we arrived, it was already dark and we could only guess how beautiful this place must look during the daytime. We checked in and went straight to Sal Secrets dinner spot. They offer a lot of Indonesian food which is prepared fresh and right next to you. It was really delicious! For me travelling to Bali definitely includes trying out traditional food. Otherwise, you are missing out on a taste and experience. Day 7: The day after we marvelled at Sal Secret Spot’s gorgeousness at daylight. Although our last resort was way much smaller than the ones we visited before, it was absolutely stunning. Everything was held quite simple and plain with exception of beautiful details here and there. Each apartment had slightly a different look than the other one, both inside and outside so that it was hard to define which of them was most beautiful. All of them were unique. Another highlight that caught my eyes right at the minute I saw it, was the beautiful saltwater pool that had two levels; a deep one to take a nice swim and another one to relax. Also, Bingin Beach with its beautiful clear water and awesome surf options was only five minutes walk away from the hotel. Inspired by that we decided to do a beach day. The waves that day were rough and it was total fun! Not to forget that the vicinity itself was breathtaking. Day 8: On our last day we relaxed at Sal Secret Spot and enjoyed the peaceful silence at the pool. For me, it was my first time on Bali and although my expectations were high I was flashed that Bali was way much more exciting, beautiful and friendly than I ever could have imagined. On my short trip, I tried to see and discover as much as possible but still have the feeling that I have seen barely anything because there is still so many more things to experience. Bali Swing, Rice fields, and Indonesian food! Cafe Organic Seminyak – the best smoothie bowls! We also loved Seacircus for tacos and La Laguna for Sunset drinks. Bali itself – every spot seems to be so damn photogenic! Camera/smartphone to catch every single moment, Bose Speaker for those pool villa chills. Half packed suitcase to have space for all the things you have shopped! I’d never been to Bali before but the minute we arrived, I was flashed by its beauty, kindness, and diversity. 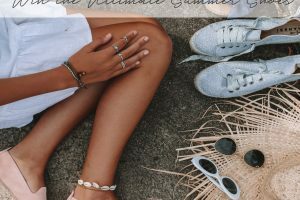 Previous GIVEAWAY – WIN THE ULTIMATE MANEBI SUMMER SHOES!